What a concept, a quiet oasis right in the hotel, massage chairs, reading space, and a roof top deck with water. 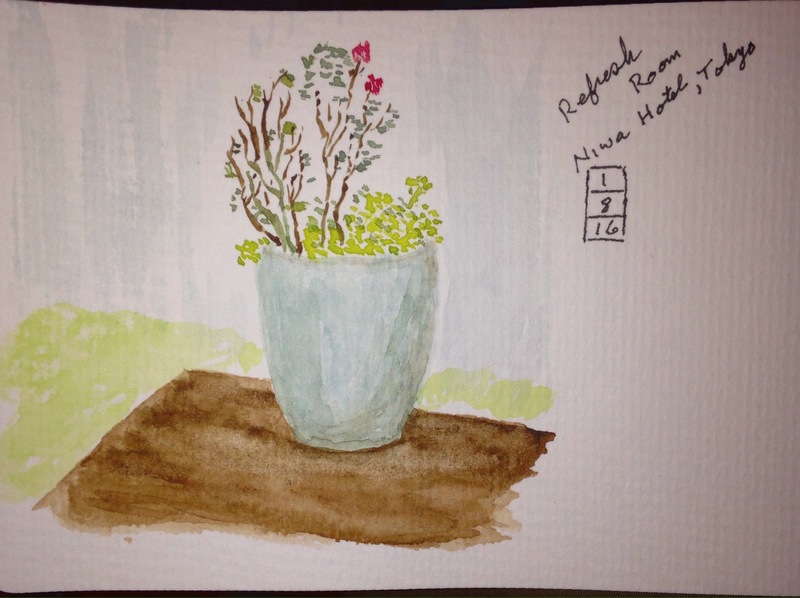 This entry was posted in Japan, Painting, sketch, Travel, Watercolor. Bookmark the permalink.